Grade N42 high quality super strong craft magnets. Nickel-Copper-Nickel triple layer coated for neodymium magnets durability and excellent protection against corrosion. Nickel + Copper + Nickel 3-layer coating is much more durable than Epoxy single layer coating because Epoxy single layer coating is a thin layer of plastic and quicker to wear off, even a scratch can damage the coating easily. More importantly, magnets with Nickel + Copper + Nickel 3-layer coating have superior cracking and chipping resistance in comparison to magnets with Epoxy single layer coating. Customer beware of the magnets with inferior coating. 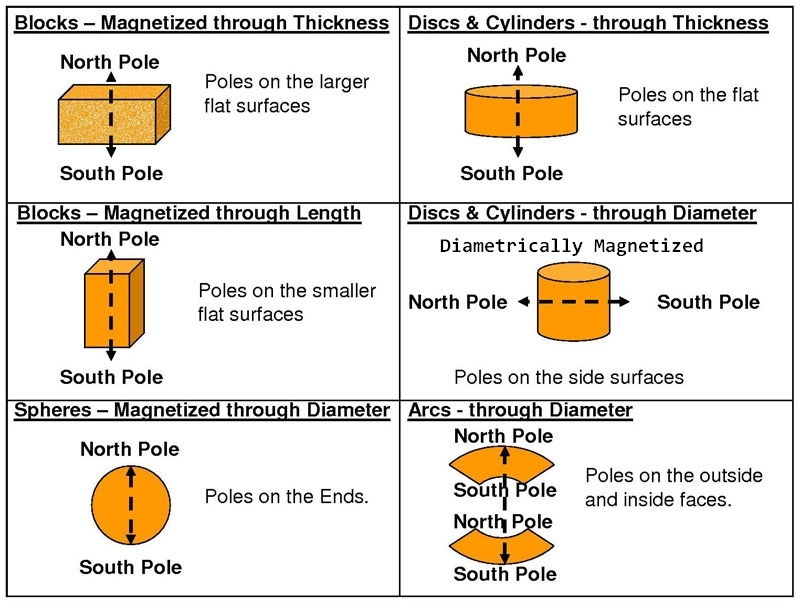 Magnet Polarity: Magnetized through the Thickness, poles on flat surfaces. Neodymium Magnets are the world's strongest magnets. All Magnets are not created equal. Applied Magnets offers the highest quality neodymium magnets with consistent performance at lowest price. Our strong neodymium magnets are designed & manufactured to meet stringent quality standards using the latest technology. Neodymium magnets (also known as Neo, NdFeB, NIB or super magnet) , a type of rare earth magnets, are the permanent magnets made from neodymium, iron, boron and other rare earth elements.